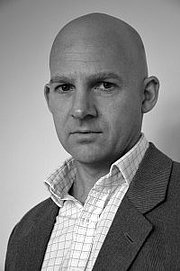 Jamie Whyte was born in New Zealand and educated at the University of Auckland and then the University of Cambridge in England, where he gained a Ph.D. in philosophy. Jamie remained at Cambridge for a further three years, as a fellow of Corpus Christi College and a lecturer in the Philosophy Faculty. During this time he published a number of academic articles on the nature of truth, belief and desire, and won the Analysis Essay Competition for the best article by a philosopher under the age of 30. Jamie then joined Oliver Wyman & Company, a London-based strategy consulting firm specialising in the financial services industry, for which he still works, as the Head of Research and Publications. Jamie has published two books: Crimes Against Logic (McGraw Hill, Chicago, 2004) and A Load of Blair (Corvo, London, 2005). Jamie is a regular contributor of opinion articles to The Times (of London), the Financial Times and Standpoint magazine . In 2006 he won the Bastiat Prize for journalism. Jamie Whyte is currently considered a "single author." If one or more works are by a distinct, homonymous authors, go ahead and split the author. Jamie Whyte is composed of 1 name.